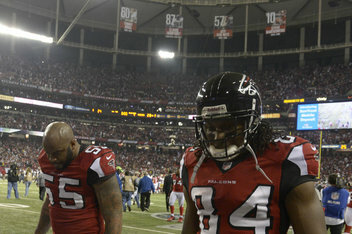 I am sure everyone has heard by now that the Atlanta Falcons lost the NFC Championship game yesterday. I was pretty upset to say the least. I had high hopes for the Falcons this season. So many wanted to give up on them and just say it was dumb luck that they were the number one seed, but I felt like they had earned it. Unfortunately, I believe they proved me wrong. The past two weeks the Falcons have given up a commanding lead in the second half of the game. I don’t know if they just get too excited and do not play as hard or what goes on in their heads, but it is devastating to a fan to see this! I was so bummed when the clock ran out with ten yards left to the goal line. I seriously had a sickening feeling. I was convicted pretty quickly by the Holy Spirit on this issue. Here I am. I am literally sick to my stomach. I am mad. I am sad. I want to go back in time and give the Falcons ONE MORE SHOT! All of this emotion over a FOOTBALL GAME?!?!? Do I express the same emotion for those around me that do not know Jesus? Do I get a sickening feeling when I realize the people I rub shoulders with on a daily basis could care less about what Jesus did for them? They do not believe He is/was who He said He is/was, so in my belief they are headed down the road to eternal damnation. It’s not a pretty picture, but it is a fact nonetheless. I have to keep myself in check with this issue. I have to understand that a game is just that, A GAME! I enjoy watching football. I enjoy watching baseball. But, let’s be honest– there is no eternal significance in either one of them. So let us live today as it is the only one we are guaranteed. Let’s face it, we do not know what tomorrow will bring, nor should we worry about it.